Watching a music video on YouTube is certainly fun. How about viewing lyrics while watching YouTube videos? Priceless! In this post I’ll show you how to display lyrics in YouTube videos. Firstly, download and install Firefox if you don’t have it. Next, install the Greasemonkey addon for Firefox and restart browser. Once done install the YouTube lyrics user script and restart Firefox. 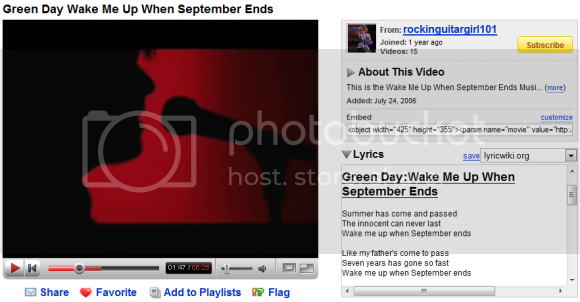 Now, go to YouTube and start watching any music video, you should see its lyrics in the sidebar on the right.